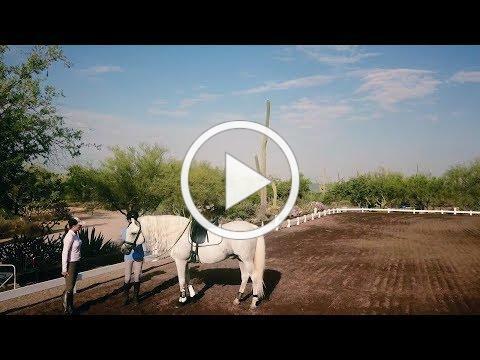 The ultimate core exercise for riders, managing hoof abscesses, green chile bacon mac n' cheese, Valentine's table decor...and more! 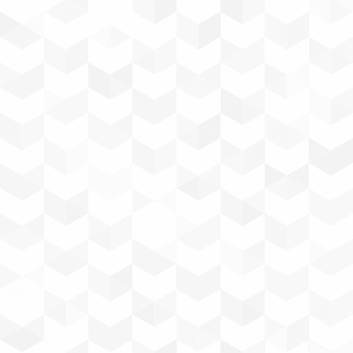 See what news and information I've gathered for you this month. 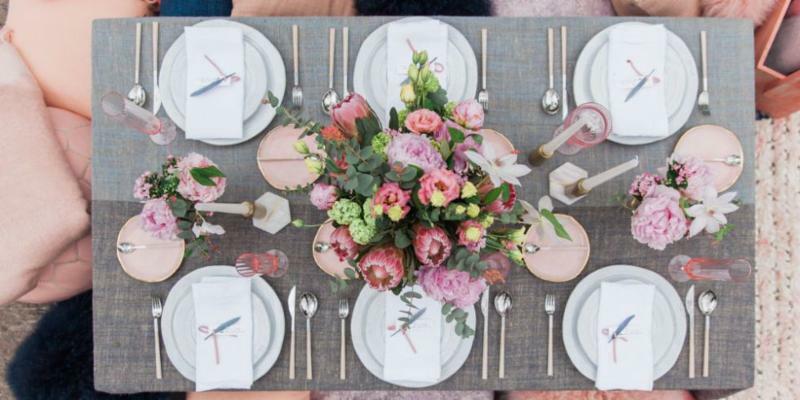 Life & Style: Valentine's Day Table Decor You'll "Love"
How beautiful is Scottsdale? 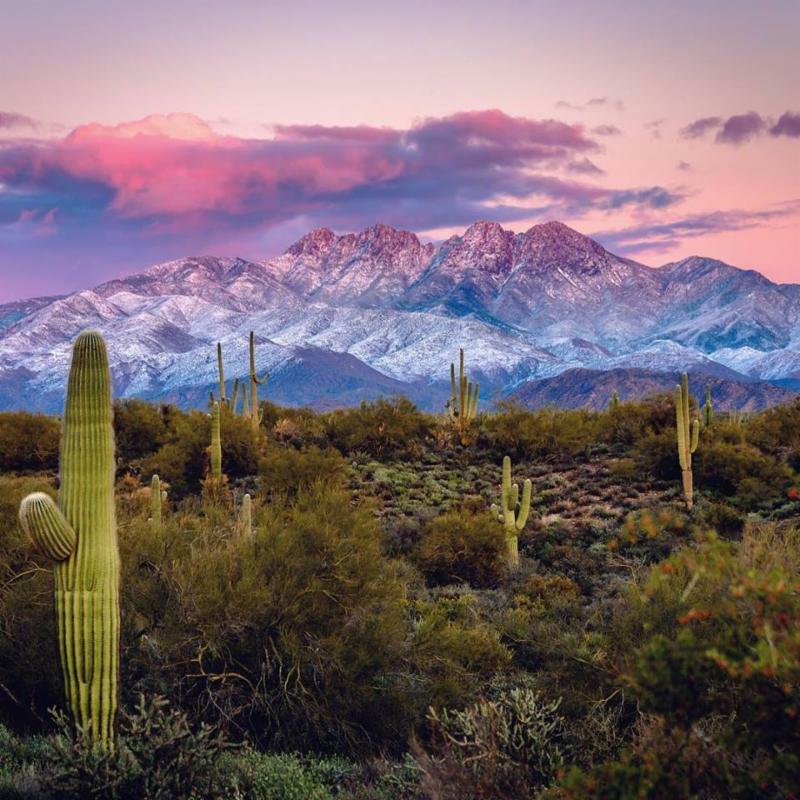 It's quite rare for us to get snow, but last month we had a cold snap that left our high Sonoran Desert areas dusted with that frosty magic. Beautiful! 1. A good rider lives on the small number of good steps and he builds on them. He forgets about the bad things. Inexperienced riders think mostly about the bad things. 2. There are many roads to the top of the mountain, but the view is the same from the top. 3. With transitions, horses find their balance by themselves. 4. A horse has a memory shorter than a dog—which might be three seconds. You must reward immediately. 5. In a proper pirouette, there is no suspension and it is bound to be four beat. 6. Even a foal can do one-tempi changes. I check that my horse is listening to me by doing a big half halt. If he is not listening I don't ask for the change until he is sharper. I take my new outside leg back. I ask for the change. 8. A horse only works for 45 minutes. He can carry us for that 45 minutes. 9. Never work a horse until he is sour ... especially young horses in the arena. 10. Don't bother with shoulder-in or any other movements if you are not able to influence the length of the horse's steps. There is no hope in hell until you can. 11. When you train at home, do one thing at a time—pirouette one day and half pass another, so you have time to do each thing with quality. You might choose canter work on one day and trot work on another. 12. Using the Fillis method of holding the reins of a double bridle, you take the bridoon as if you were driving. It will make the muscles of the lower arm soft and it is easier to use each bit separately. 13. Horse-and rider-combinations are a bit like a marriage. You have to find the horse you can work with. I like energetic, hot horses for myself. 14. In training you have to be very honest. 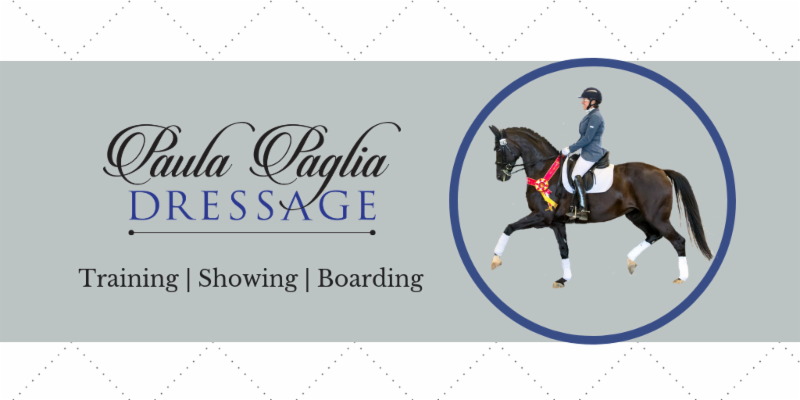 You cannot lie to your horse or your trainer or the dressage judges. 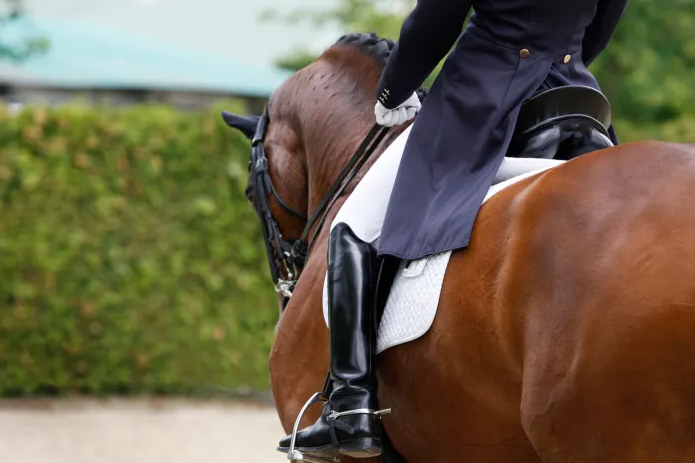 If you only can do something one out of 10 times at home, then you know you have to be lucky at the show—and we know we're not always dead lucky. Click here for the rest of the article. This common problem can cause sudden, severe lameness but often resolves quickly with the proper treatment. Yesterday your horse was perfectly sound, but today he won’t touch one foot to the ground. There’s no apparent injury or sign of a problem in his leg or hoof other than the sudden, severe lameness. What could have happened? One strong possibility for the cause of this scenario is a hoof abscess–a localized accumulation of pus within the horse’s hoof. The good news is that abscesses can often be resolved quickly and easily with proper veterinary care and leave no lasting damage. Even better, they can usually be prevented by practicing good routine hoof care and management. As an owner, how do you prevent abscesses and what do you do if your horse gets one? First let’s discuss what they are and what causes them. The simplest comparison we can make to define a hoof abscess is that it’s like a whitehead pimple. That little bubble of pus under the skin can be slightly sore or it can be incredibly painful. You might feel soreness in that location well before the pimple shows its ugly head, or it might show up overnight in all its glory. And the fastest way to get rid of it is simply to pop it and let it drain; the pain relief is immediate because the pressure has been relieved. This is the same way a hoof abscess causes pain in a horse; it usually starts with a localized, walled-off infection, which the body fights with white blood cells and inflammatory mediators. The buildup of infection, inflammation, and white blood cells expands, causing increasing pressure, particularly because the rigid hoof wall can’t expand to relieve pressure. When lameness appears and how severe the lameness becomes will vary. Some horses might never get lame before the abscess ruptures on its own, or lameness might be transient and go unnoticed, especially if the horse is at pasture and not monitored often. Environmental conditions cycling between wet and dry - In very dry conditions the hoof dries out and can shrink slightly like a dried-out sponge. This can result in tiny hoof cracks and fissures in the sole-wall junction that can then soften and fill with muck when the weather turns wet, allowing opportunistic bacteria to invade the hoof and cause an abscess. Penetrating wounds can occur as a result of a horse stepping on a sharp object such as a nail, rock, or broken glass. “These may cause a perforation of the sole that packs up or seals over, and an abscess results two to four days later as a result of contamination,” says Bruce Lyle, DVM, of the Aubrey Equine Clinic in Aubrey, Texas. “Close” nails in a recently shod foot - Raul Bras, DVM, CJF, of Rood & Riddle Equine Hospital, in Lexington, Kentucky, explains that a horseshoe nail placed too close to or into the foot’s sensitive inner structures can introduce bacteria that cause an abscess. Even if the nail is removed right away and didn’t introduce bacteria, it created a pathway into the hoof that can let in bacteria and result in an abscess later. Bras recommends flushing the hole with dilute antiseptic solution, such as Betadine, and wrapping the foot for three to five days (depending on the horse’s turnout situation) to decrease the chances of infection. Ground conditions/bruising - Muddy or rocky ground can soften feet and/or cause bruises. “Some non-penetrated bruises may abscess if bacteria are introduced through a small external insult or from circulating bacteria in the bloodstream, because the area of hemorrhage provides a great medium for bacterial reproduction,” Lyle says. Hot-fitting a shoe on a very thin sole - Lyle says if the sole is very thin and a hot shoe is seated on it, thermal injury to the underlying sensitive tissues can sometimes cause a sterile abscess (not caused by infection). Applying exothermic (heat-producing) hoof repair materials over raw or partly healed areas can do the same thing. Poor hoof balance/conformation - For example, hoof wall flares can put additional bending stress on the sole-wall junction and cause cracks that can become contaminated. Also, Lyle says leaving the bars of the foot too long (or leaving any part of the foot longer so it gets more of a beating) can result in localized bruising and abscesses. Management factors - Dirty stalls tend to be wet and contain lots of bacteria that can invade the foot. “Wet conditions are the usual culprit in our area, especially when preceded by dry conditions,” says Lyle. 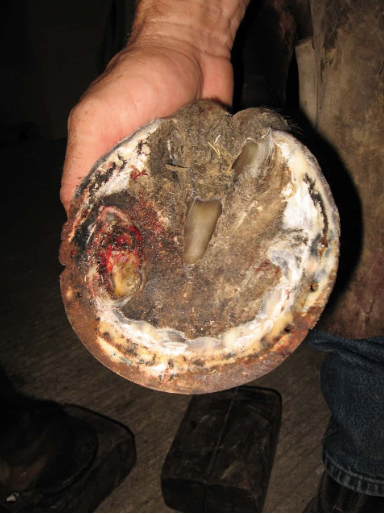 Bras notes that hoof wall/capsule defects can also make it easier for bacteria to invade, as can digital instability (such as that resulting from severe laminitis) or systemic infections. With the latter, bacteria in the bloodstream get into foot tissues and “set up shop,” causing an abscess from within. Click here for the rest of the article. Staying in for Valentine's Day? You don't have to sacrifice the OTT dinner factor. 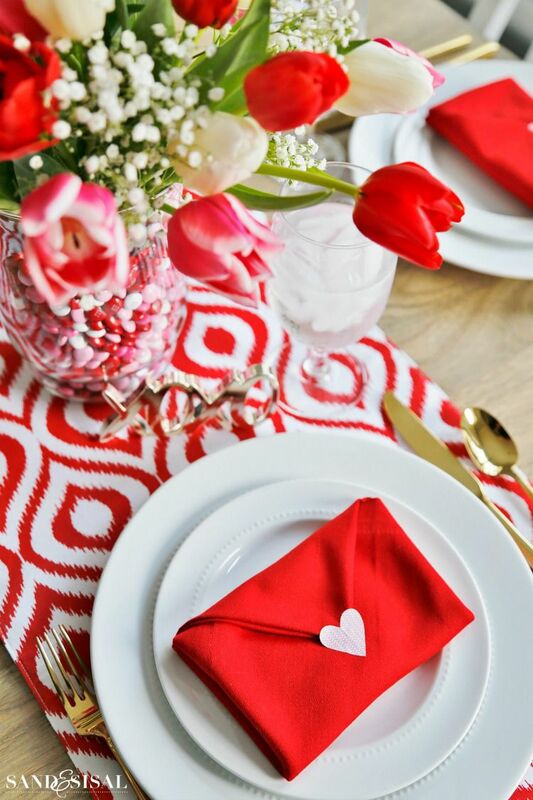 Creating a romantic table is easier than you think, and whether you want something bold and dramatic, or subtle and modern, we've got ideas to help make it the best V-day ever! You don't have to go bold with vibrant reds—keep a soft, pastel color palette for a more intimate dinner. 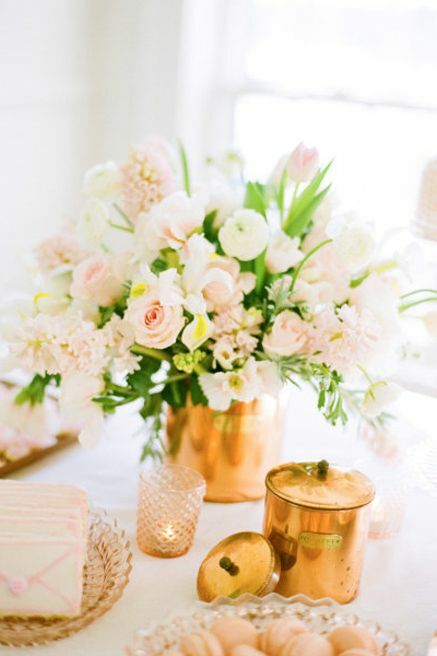 Add baby pink and white flowers, then accent with brass. Throwing a Galentine's Day party? 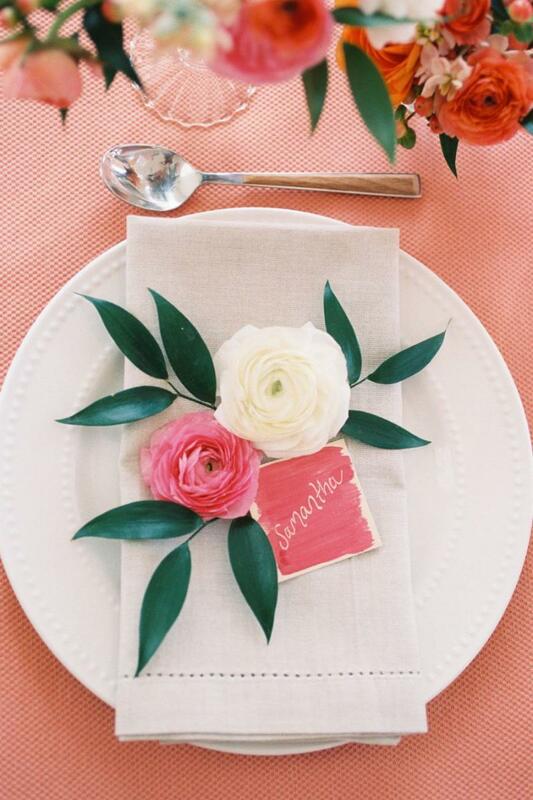 These watercolor place cards, in the sweetest of seasonal colors, pop against a plated arrangement of blooms. Fill vases with red, pink, and white M&Ms to add extra color to your table. Bonus: You can snack while you decorate. 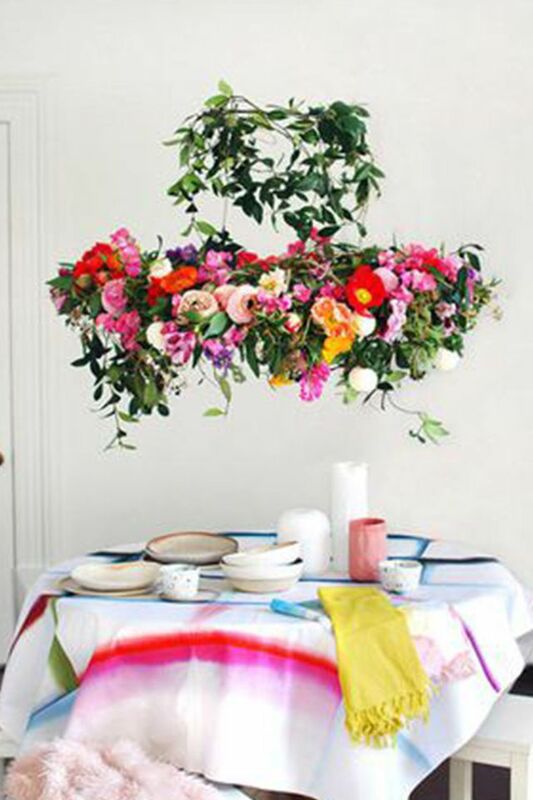 A dramatic floral chandelier is the ultimate romantic decoration to hang above your table. Keep the rest of the table sleek and simple so it's not too overpowering. 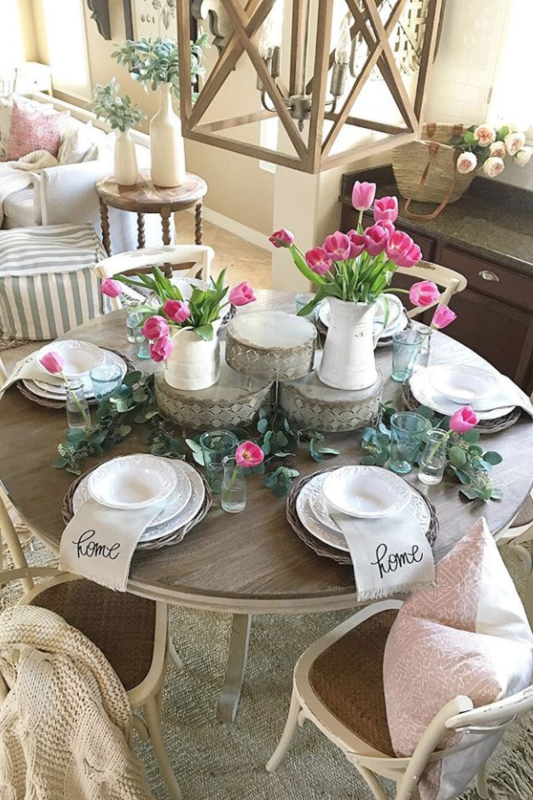 Keep it simple with bright, cheerful tulips and metal lace pedestals. Soft accents, like throw pillows and blankets draped over the chair, make this setup feel intimate and cozy. 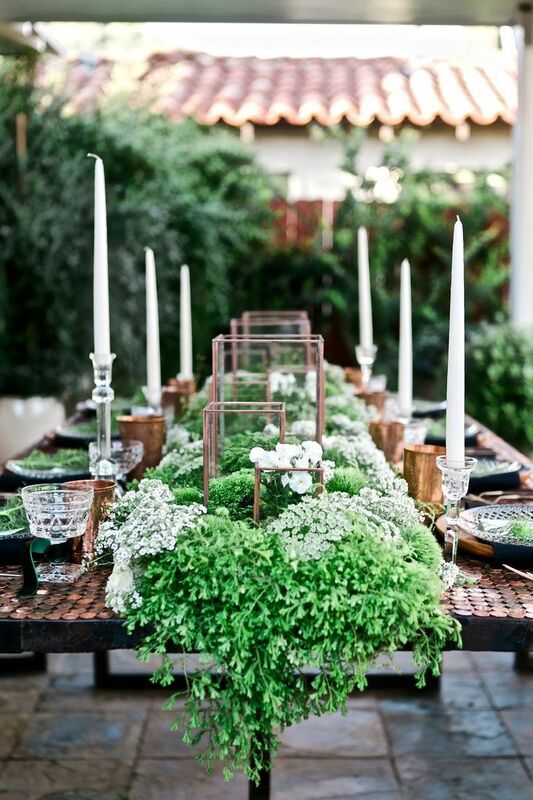 The contrast between these lush green plants and the sleek, geometric copper accents is insanely romantic. Return the saucepan to medium-high heat and while whisking constantly, cook until the sauce thickens, about 2 to 3 minutes. Add the onion, paprika, cheese, green chile, and bacon and bring sauce to a simmer. If you feel sauce is too thick, add some milk to dilute it. If it’s too thin, add more cheese. Bring a large pot of heavily salted water to a boil over high heat. Add the pasta and cook until it’s almost al dente (you want it to be somewhat under cooked because it will cook in the oven). Add the cooked pasta to the cheese sauce, stir thoroughly, making sure all of the pasta is coated in sauce. 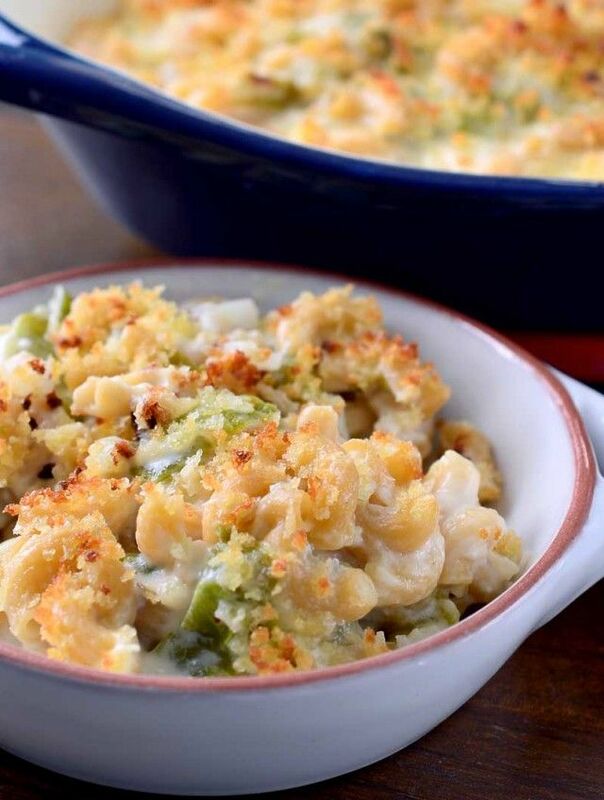 Transfer to a 5-quart buttered baking dish, sprinkle with buttered breadcrumbs and bake until bubbling and brown on top, about 25 to 30 minutes. Start a leg yield on the wall with the neck straight and head over the fence. Your outside rein controls the outside shoulder, rhythm and speed. 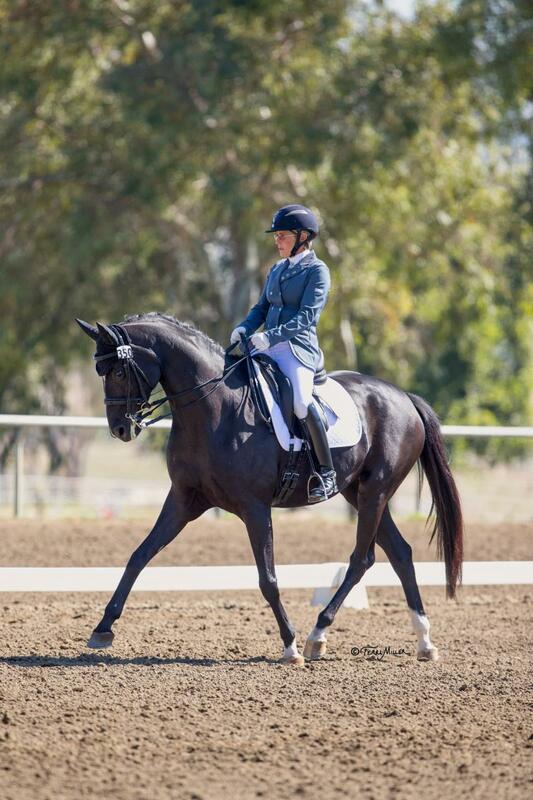 The leg yielding exercise is so beneficial for horses of all levels. Really keep them parallel to the long side and get those hind legs to cross. Talk about love! 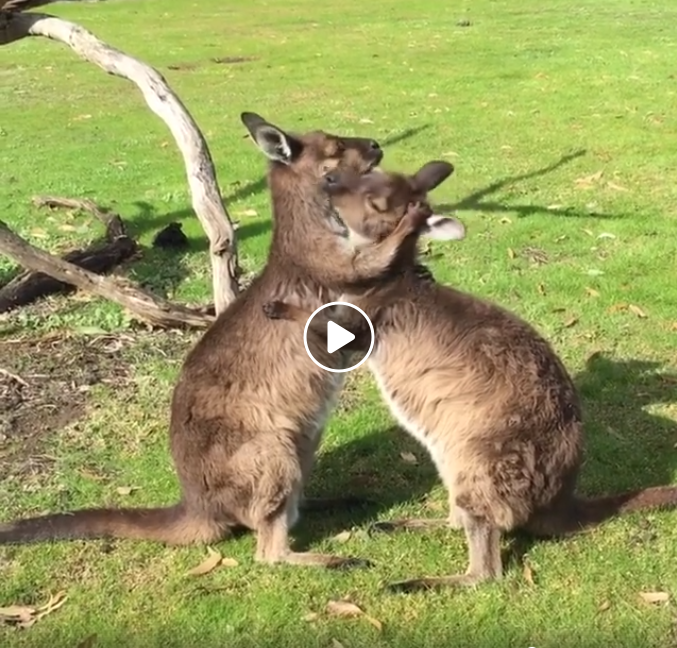 These two kissing kangaroos are just so adorable. You'll love the video. Happy Valentine's Day everyone!